I have been taking an informal break from blogging and answering questions recently. I have thought deeply about our last walk, tried to recall what thoughts burdened my mind that day or what birds we saw in passing, but I can’t seem to remember anymore. During his final years, Bandit contracted pneumonia. He never fully recovered and stayed on regular medication during winter months. He also seemed to have arthritis though it was never formally diagnosed by a veterinarian. We watched him age in ways of peace. We watched him stop chasing cars and youth. Australian Shepherds, a bloodline of herders, the working cattle dog and time-honored instinct to nip ankles, a dog who could have defeated Achilles. We watched him shepherd closer to home as a porch dog in the autumn of life. My father told me Bandit died in his sleep on a Friday. The sadness of Bandit’s death has hit me in different degrees. He was always a vocal dog. Bandit would howl at the sirens of ambulances veering down a distant road. He would say his version of I love you and pull back his teeth to smile, writhing all over, exposing both gum and chipped tooth, upon our arrival home. Bandit looked terrifying when he did this, and his mimicry made us laugh more than anything else. For the first few nights after his death, I listened to the sirens in Clarksville and remembered his shameless howl. Even now, alone in my apartment, I struggle to write about Bandit, his adventures, and the all too familiar sentiment that it is hard to lose a friend. I’ll close this entry, my study of grief, with what I think is whispered too often or sometimes not enough. A familiar phrase said across the living room couch during the night with my hand buried in the dark fur of his back: Lie down, lie down. Sorry for your loss, Sarah. Powerful post… eventually we must all “lie down”. My older cat died about a year and a half ago at 17. Especially for people our age, it’s like losing a part of our childhood. Hope things’re going well for you otherwise. I’ve lost some of my beloved furry friends. And I can’t imagine my life without my current furry friend, Cooper. He is my daily joy! You shared so beautifully about Bandit. May he rest in peace. Very sorry for your loss, dear. 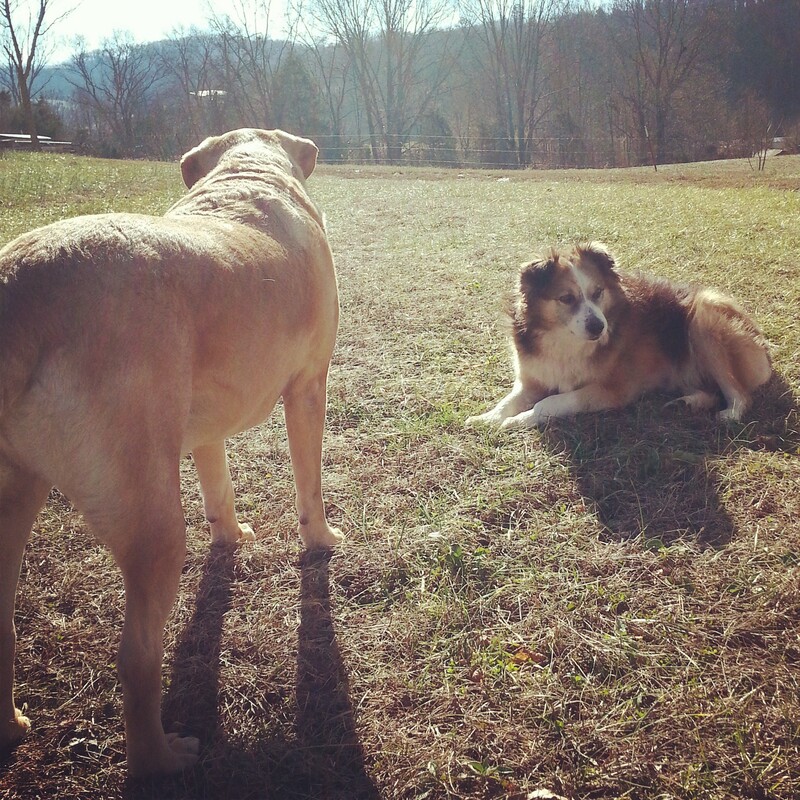 In the past two years, both of my dogs had to be put to sleep. It’s a hard thing to go through. They’re family. They’re friends. They’re certainly more to you than you could ever explain to anyone. I hope you’re working through the loss. It takes time. Your comment here could not be more appropriately timed. Thank you for stopping by and sharing these entries with me. I really needed that. When we love dogs as if they were part of our family it’s the hardest thing in the world to let them go. Suddenly they are not there and the sadness can linger for months or years. I have lost many dogs along the way and it never gets easy.